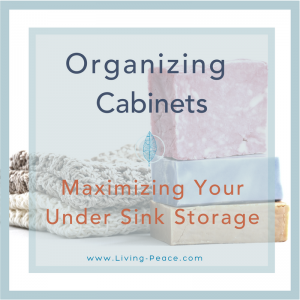 One space in our homes that can be challenging to organize and make the most of is underneath the kitchen and bathroom sinks. These areas tend to be dirtier and wetter than most cabinets since it is usually exposed to the plumbing and the wall or floor behind it. We usually suggest not storing things here that are vulnerable to dirt, moisture or heat. Most often we find that these spaces are used to store cleaning supplies. Need help organizing these under cabinet spaces? 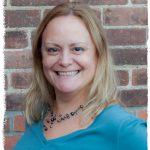 There are a few items that can help you utilize the space better, even capable of maneuvering around the plumbing. Here are just some of the options available: Under Sink Storage Ideas. Have a little more height that you could use? 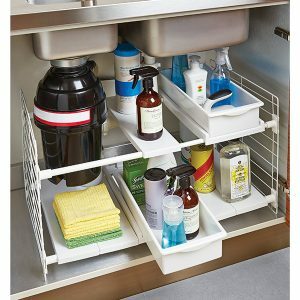 I would suggest something like this for organizing under sink storage for taller spaces or perhaps you need a storage solution that will expand to the size of your space. As with any purchase of organizing tools, be sure to measure properly to ensure that it will fit your space. Remember to account for any lips around the edges of the cabinets that might prevent you from sliding a drawer open the whole way, or things protruding inside the cabinet (think plumbing) that would decrease the size of the organizing tool you can use. Also be sure that the organizing solution has the right type of storage for what you are planning to keep there. Do you have a dozen different kinds of hair products in all shapes and sizes of bottles, or are you trying to store medication and first aid items? Pick the right tool for your need and space. I’ve had many clients who use this office supply to utilize the space; they are able to pull it out and grab the item they need, and keep items from getting wet on the bottom. “Think outside the bin”! 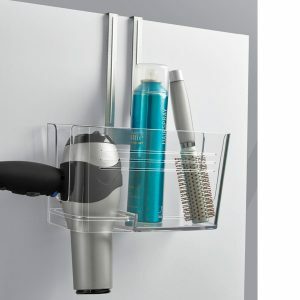 You could also utilize the cabinet door itself to store hair dryers etc. This would also keep things off the cabinet floor. I hope you found this helpful. If you have other ideas for under-the-sink storage, please share below & let us know. We’d love to hear from you!